“Balance comes from within. 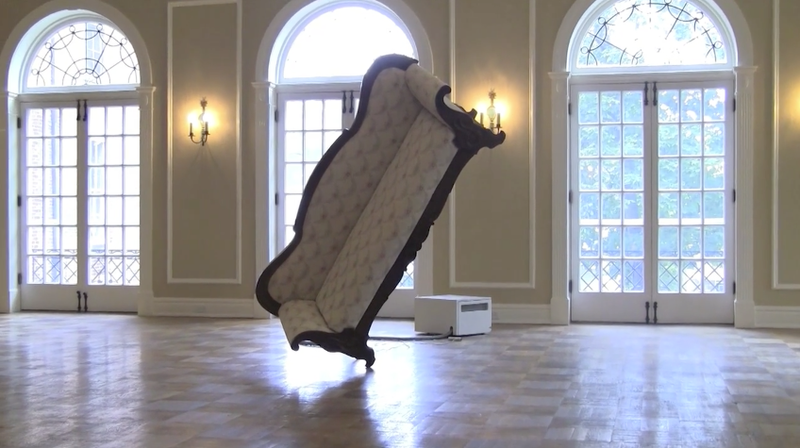 It’s a delicate act, and sometimes we fall down.” In Jacob Tonski’s Balance from Within (2010-2013), a 170-year-old sofa balances precariously on one leg, continuously teetering, responding internally to external forces. 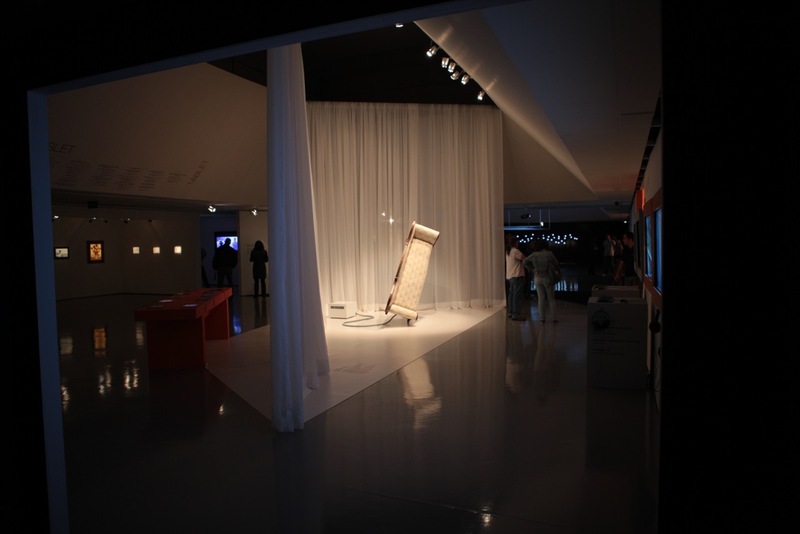 Within the body of the sofa, a robotic assembly maintains balance dynamically. 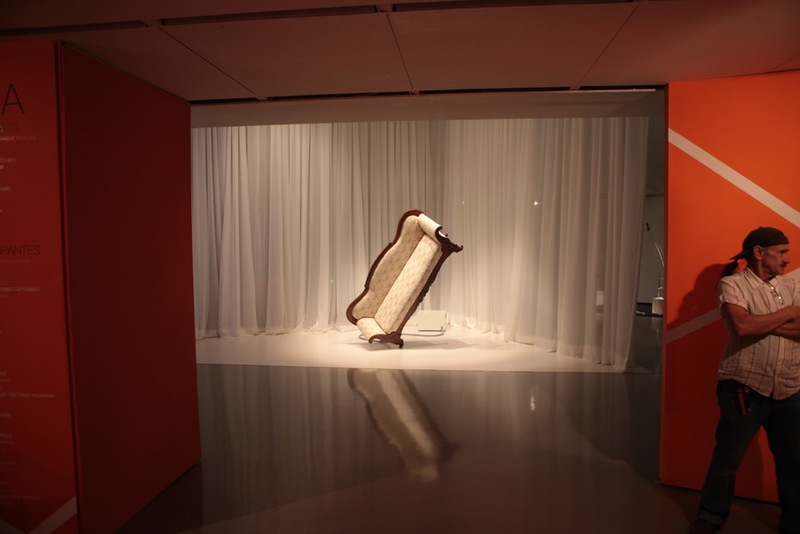 As the sofa begins to fall, the mechanism senses tilting and exerts a force appropriate to counter the falling, resulting in an endless wobbling back and forth. The piece is a meditation on the nature of human relations, and the things we build to support them. Jacob Tonski acknowledges the Oxford Community Arts Center, Oxford Ohio and Caroline Croswell for the opportunity to film the piece in such a wonderful location; Lynn Johnson and the Miami University Instrumentation Lab for electrical engineering consultations; Seth Cluett, Emily Moorhead, Garth Zeglin and John Sneckenberger.